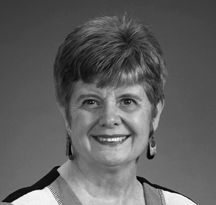 Dorothy Van Soest is the former dean of the UW School of Social Work and served as an associate dean and professor at the University of Texas School of Social Work in Austin from 1995 - 2002. She has over 27 years of social work teaching experience, with appointments at the University of Minnesota, St. Thomas University, The Catholic University of America, and Smith College, and a total of 36 years of social work and social work related experience. Dorothy began her social work career as a child protective services social worker in public welfare and she has experience working in the Headstart program in three cities, directed a youth serving organization, and provided training of social workers with the Minnesota State Department of Public Welfare. Her interest in social workers’ role in promoting peace and social justice led to her serving as Chair of NASW’s Social Workers for Peace and Justice Committee for two terms in the 1980s. She directed two international development education projects for NASW from 1990-1995. Dr. Van Soest has conducted research and has been widely published in the areas of peace, cultural diversity, violence prevention, and social justice. A sample of titles of some of her journal articles includes: The Impact of Social Work Education on Student Beliefs about Justice and Commitment to Social Justice Advocacy, Social Work Education for Multicultural Practice and Social Justice Advocacy: A Field Study of How Students Experience the Learning Process, Oppression, Violence Reconceptualized for Social Work: The Urban Dilemma, and Social Work Educators Commitment to Peace and Social Justice. She wrote a curriculum guide entitled Incorporating Peace and Social Justice into the Social Work Curriculum, which was published by NASW in 1992. Another book, published by NASW Press in 1997, is The Global Crisis of Violence: Common Problems, Universal Causes, Shared Solutions. Her latest book, with Betty Garcia, is Diversity Education for Social Justice: Mastering Teaching Skills, published in 2003 by the Council on Social Work Education. She and Dr. Garcia are currently writing a student text that promotes culturally competent practice as combining diversity with social justice. Dr. Van Soest has conducted several research projects aimed at investigating the impact of social work education on students’ commitment to diversity and social justice. Two of her recent research studies have been research on Social Work Professors’ Sensitivity to Racism and their Responsiveness to Critical Events that occur in the Classroom, and a study of the lives of 37 men who were executed by the state of Texas in 1997. This latest work was featured in an ABC News.com editorial column by Lee Dye entitled “Bent Twigs-Study: rough Upbringings can shape Murderers” that appeared online on May 14, 2003. A report of the study was published in Violence and Victims in February 2003 under the title “Different Paths to Death Row: A comparison of men who committed heinous and less heinous crimes.” Dr. Van Soest has made numerous national and international presentations on topics related to violence prevention, the global crisis of violence, cultural diversity, and social justice issues.